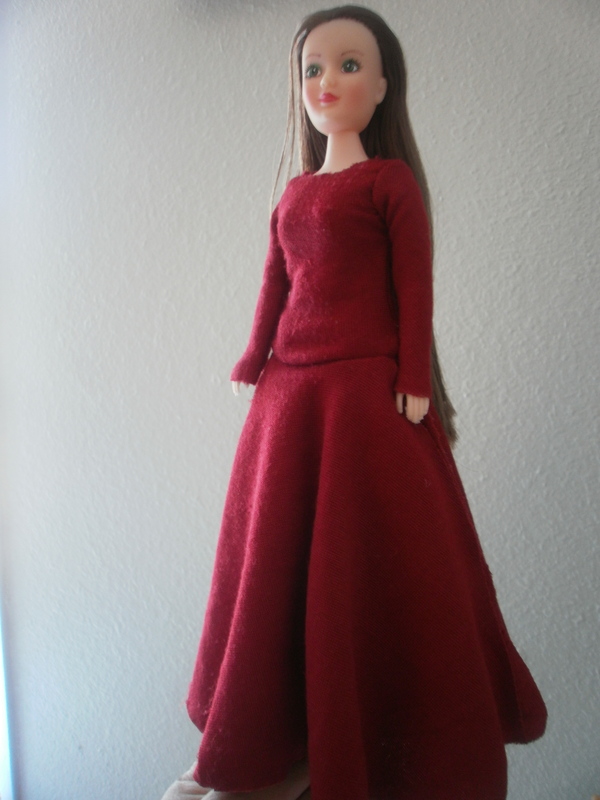 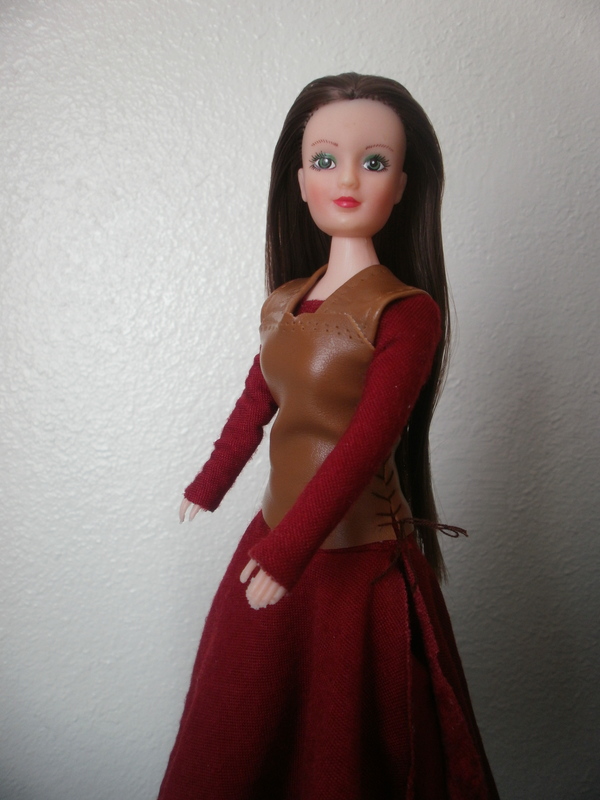 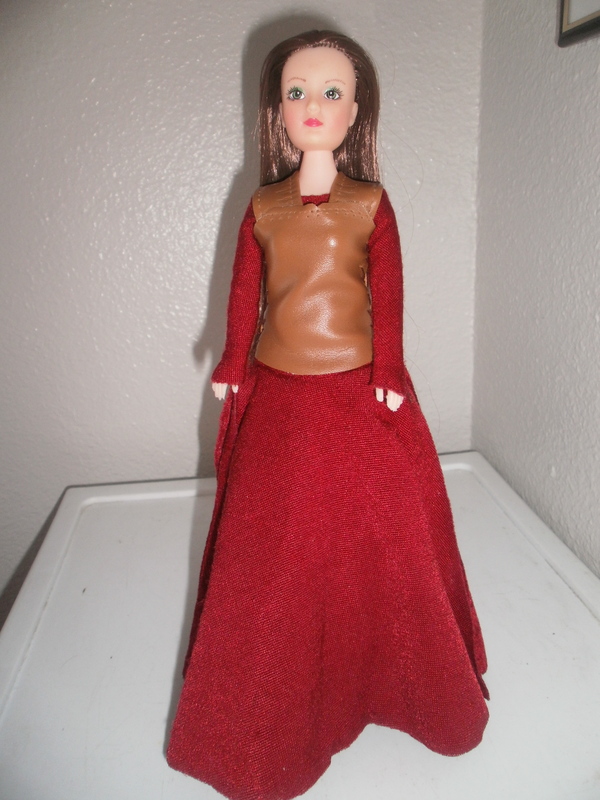 The velvet is stretchy, so the dress pulls over the doll’s head. 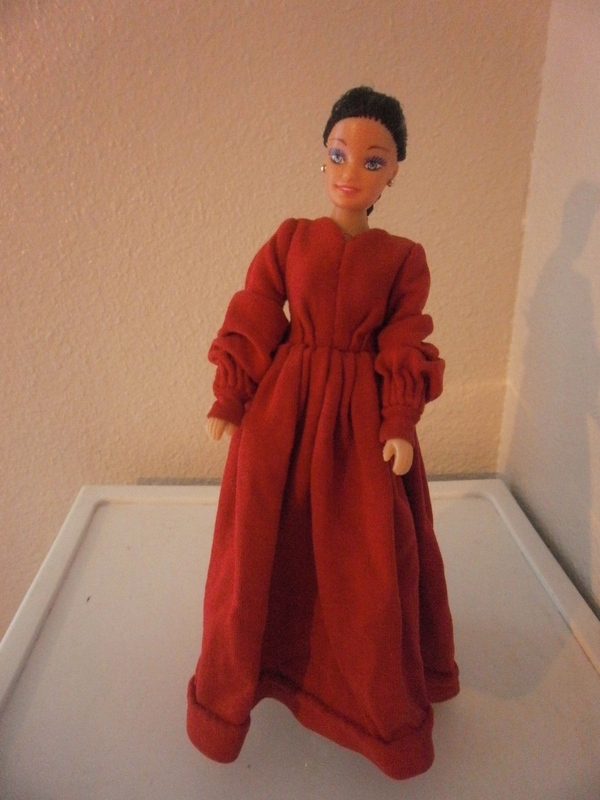 The sleeves, though they look like they are 2-part, are really 1 piece for a smoother fit. 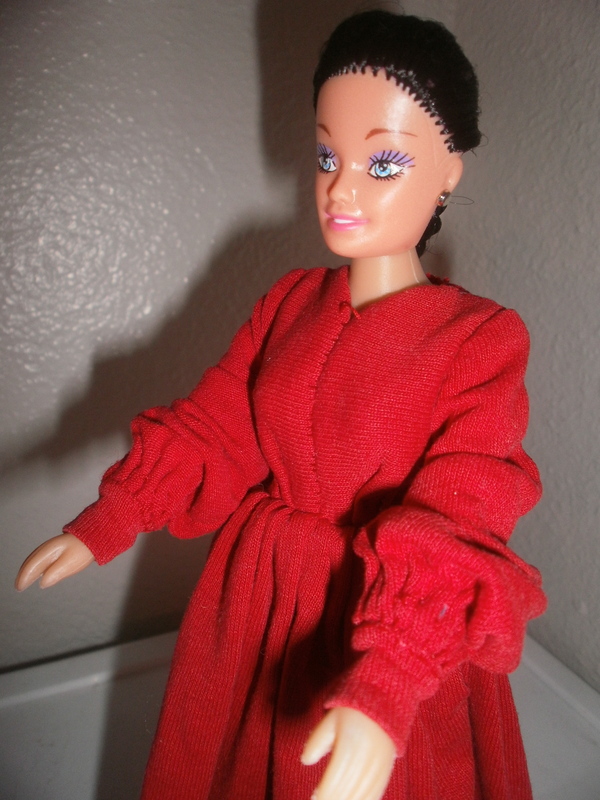 At the bottom, the sleeve seam is left unsewn to allow the doll’s hands to come through. 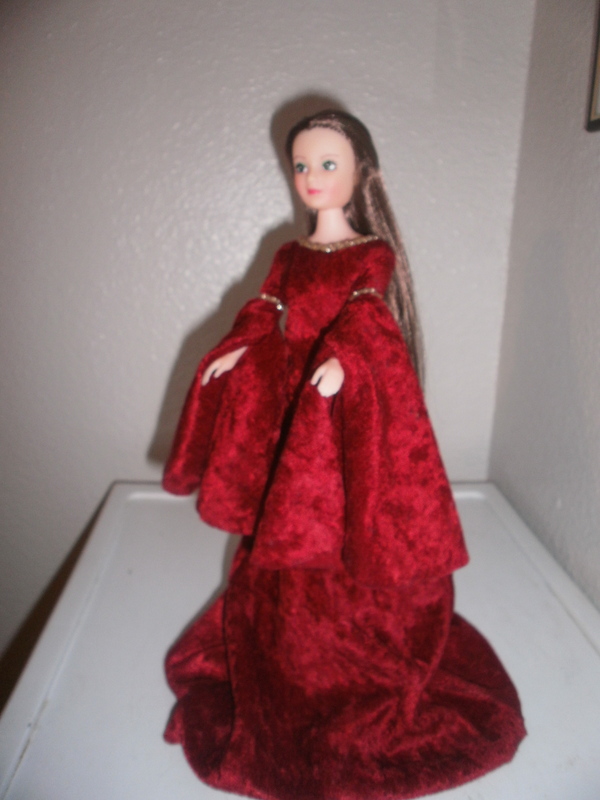 Gold glitter paint decorates the neckline and sleeves.